1918 Creation of Namiki Manufacturing Company, forerunner of the PILOT Corporation. 1926 Overseas branches & offices established in London, New York, Shanghai and Singapore. Sales of ink across Japan began. 1927 Production and marketing of the first PILOT mechanical pencils. 1938 Namiki Manufacturing Co. becomes PILOT Pen Co.
1948 Creation of the Nagoya Ink Plant and Hiratsuka Plant factories. 1950 Nagoya Ink Plant becomes PILOT Ink Plant, specialising in the manufacture of inks. 1954 Creation of PILOT Pen Do Brazil. 1959 Production and marketing of the first PILOT oil-based ink markers. 1960 PILOT Kiko CO. becomes Pilot Precision, specialising in precision mechanisms for mechanical pencils and retractable pens. 1961 PILOT ballpoint pens begin to be manufactured. 1962 Entry onto the Tokyo stock exchange. 1966 Start of production and marketing for the Wyteboard whiteboard marker. 1967 Creation of a liaison office in Europe, which in 1975 becomes The PILOT Pen (Europe) G.M.B.H. 1972 Creation of PILOT Corporation Of America. 1976 Launch of PILOT liquid ink rollerballs. 1979 Creation of PILOT Pen Co. (U.K.). 1981 Creation of Nykor Pilot Pen Italia in Bologna. 1984 Launch of the V5 in France. 1987 Creation of PILOT Pen (France), which becomes PILOT Corporation Of Europe S.A.
1993 Production and marketing for the first PILOT gel ink rollerball pens. 1996 Opening of the French factory at Allonzier-La-Caille near Annecy. 1998 Creation of PILOT Pen South Africa. 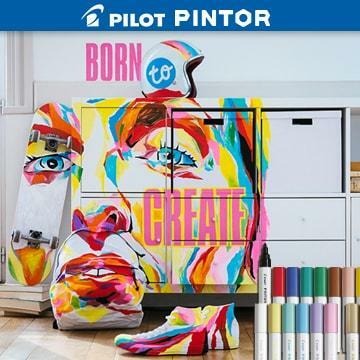 Creation of PILOT Pen Deutschland. Change of logo: a more dynamic P is added in front of the word PILOT. 1999 Creation of PILOT Pen Sweden. 2001 Creation of PILOT Corporation Of Europe. 2002 PILOT Group Holdings Corporation was jointly established through stock transfer, by Pilot Corporation, The Pilot Ink Co., Ltd., and The Pilot Precision Co., Ltd.
2003 PILOT Group Holdings Corporation and the former PILOT Corporation were merged, and the corporate name selected was PILOT CORPORATION. 2009 Launch of B2P (Bottle to Pen) Concept. 2013 Launch of V5/7 Cartridge System. The first liquid ink refillable in the world! 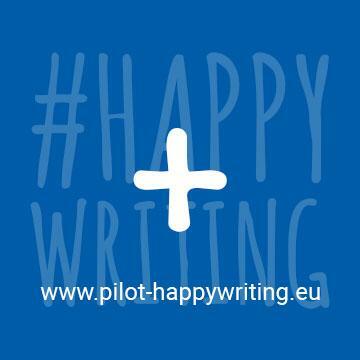 2014 Pilot #Happywriting communication starts! 2015 Launch of FriXion Colors, the first erasable thermosensitive colour felt pen on the market.